Remagen Safe Room System Retrofit - FEMA-compliant tornado shelters. Remagen Tornado Safe Room System – Retrofit may be used to harden schools, emergency operations centers, police and fire stations, 911 facilities, daycare facilities, hospitals, nursing homes, dormitories, residences, and office buildings. With a Remagen Tornado Safe Room System – Retrofit, building occupants have safe and immediate access to an interior tornado shelter for protection against the most severe weather or an active shooter. The Remagen Tornado Safe Room System is shipped on pallets as individual shelter structural components (steel frame tubes, wall and roof panels, end connectors, protected vents, doors and door frames, screws, adhesive, etc.) which are carried into an existing building through doorways, corridors, stairways, elevators, etc. as individual components or partially assembled sections and assembled within an existing room, corridor, or other interior space, including spaces on upper floors, wherever tornado protection is desired. 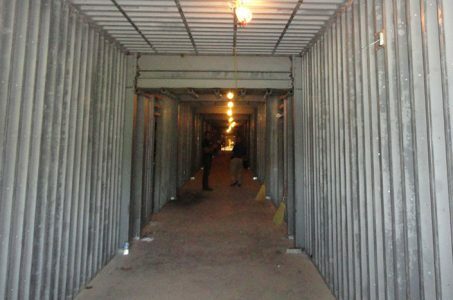 The safe room, which may be entirely assembled from the inside, provides a protective envelope within the former room or corridor which complies with the storm shelter requirements of ICC 500 and FEMA P-361 for protection of occupants from forces and debris impacts of 250 mph EF-5 tornadoes. Enhanced ballistics protection can be added if desired. Other than the steel, FEMA 361 labeled ADA-compliant, tornado-rated door and multi-latch hardware, the assembled and finished safe room may retain the character, appearance, and functions of the former space while providing unseen hardened walls, ceilings, and vent protective cowlings that will resist the enormous forces and debris impacts resulting from the direct hit of the most severe tornado. Electrical boxes and conduit for lights, switches, and outlets are concealed within the walls and roofs of the safe room. 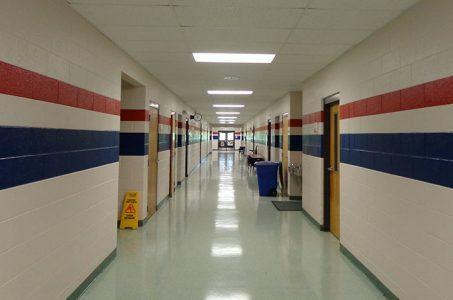 Having a school corridor tornado shelter with direct access from the adjacent classrooms facilitates swift occupancy of the shelter by students and staff with the least travel distance and child accounting issues. 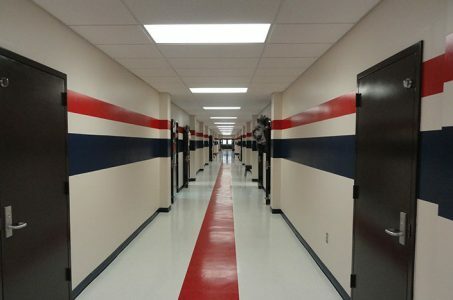 When seconds count, the Remagen Safe Room System – Retrofit school corridor shelter offers the optimum solution for protecting students in a rapidly developing tornado or active shooter situation.